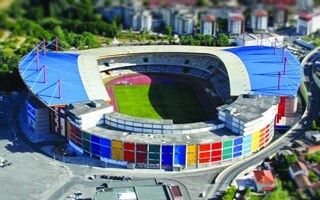 Estádio Dr. Magalhaes Pessoa in Leiria is one of the famous colourful stadia designed by Tomas Taveira's team. It sits in strict city centre and looks very picturesquely when photographed from the historical castle hill. But that's only because you cannot see its northern side from the castle, one element that has never been delivered. The stadium's history is in fact as far from the bright colourful theme as possible. In 2011 it was to be auctioned, local club União de Leiria almost went bankrupt while using it and had to leave the city for two seasons to find a cheaper ground and upkeep has been a true sore to the municipal budget. During Euro 2004, you may recall, the venue's north side was equipped with large temporary stand to bring capacity up to 30,000 from permanent size od under 24,000. Behind the stand was a semi-circular building covered in white cloth. That building, or rather concrete skeleton of one, has never been fully delivered. It still stands empty, even if covered with colourful panels in recent years. 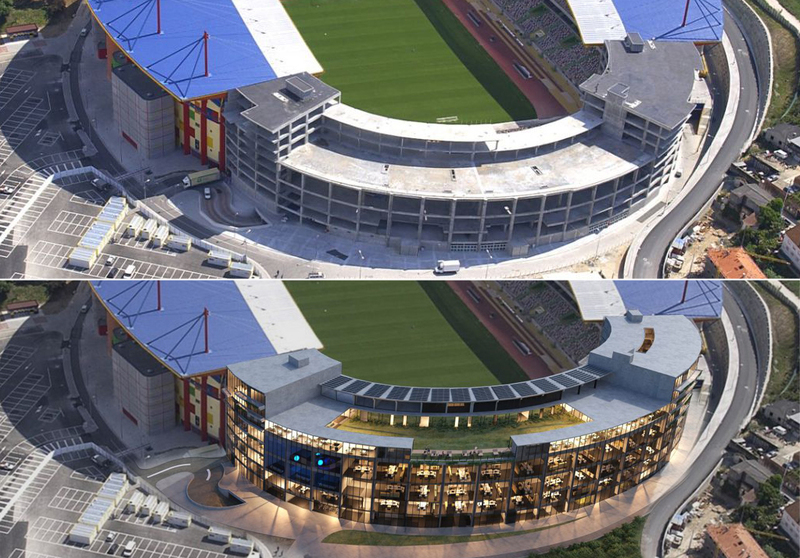 With 8 levels at peak, the building was always seen as future commercial and office centre that would make the stadium a week-round destination. But it's yet to be finished and inhabited by anyone. However, a breakthrough is now on the horizon. On Tuesday this week design competition for the office centre has ended. Four entries were filed, one of which ended up disqualified, and local architect Petro Cordeiro is the winner whose vision will come to fruition. Structurally there will be very few changes to the existing skeleton, including addition of one floor in some areas. The roof will have a semi-enclosed garden and a set of photovoltaic panels. 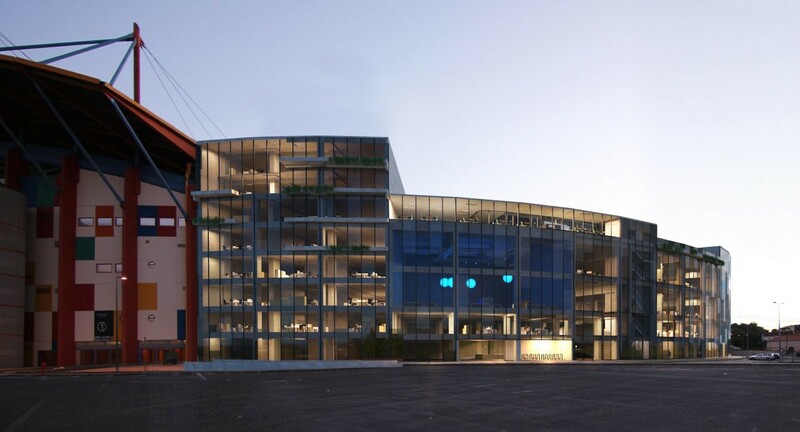 Facades will be entirely covered with glass, enveloping a total of 17,500 square meters of floor space. 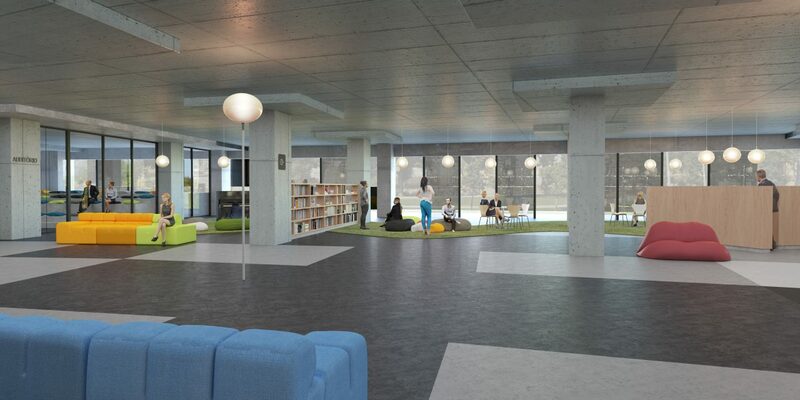 Some of the spaces will be occupied by offices of local authorities, other will be commercialised. The operation is a rather economic one, at least along current estimates, expected to stay within €7.5 million. However, only after detailed documentation is created and construction tender finalised we'll know the actual value. Construction is expected to begin in 2020, long 17 years after opening of the stadium. 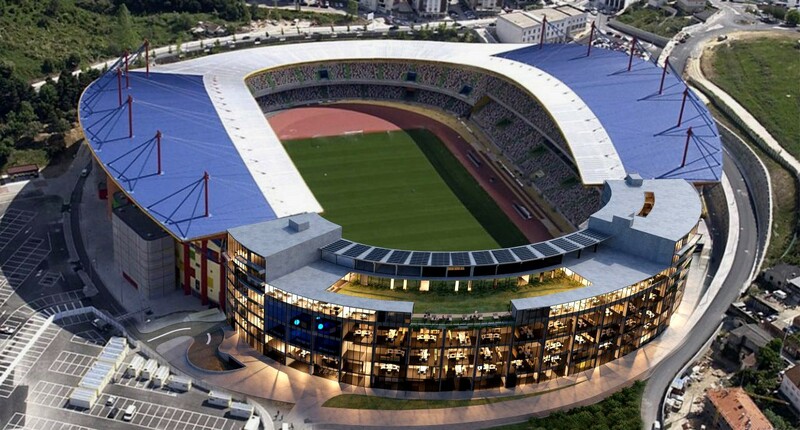 It should be noted that the Leiria stadium is among Portugal's most expensive in terms of price per seat. With under 24,000 seats it initially cost around €50 million but to date consumed over €100 million with debt and upkeep.